The incident sparked chatter about his state of mind, culminating with the #prayforkanye hashtag trending on Twitter. West’s hospitalization — and the show of support on social media for the beleaguered superstar — comes when a growing number of celebrities are talking frankly about their own mental health battles. 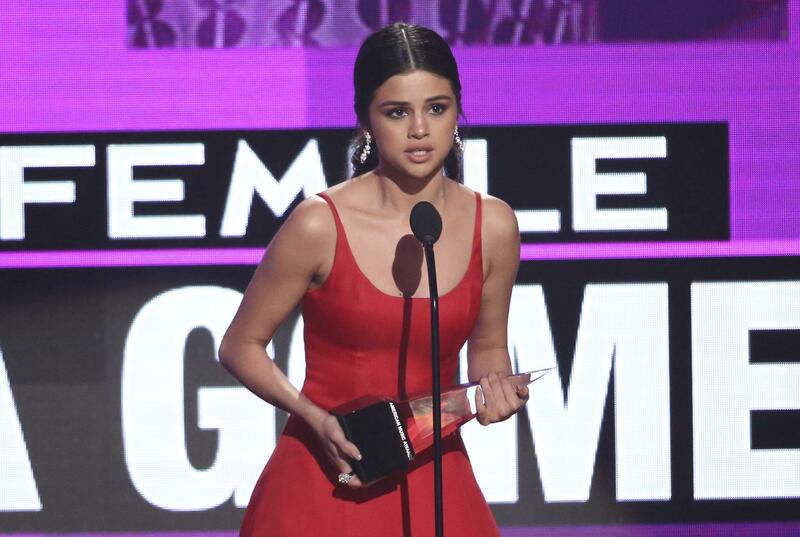 Just days ago, on Nov. 20, singer Selena Gomez spoke about her struggles with anxiety and depression during a speech at the American Music Awards. “. . . I had to stop, ’cause I had everything, and I was absolutely broken inside,” the 24-year-old said, accepting her award for Favorite Pop/Rock female artist. “And I kept it all together enough to where I never let you down. But I kept it too much together where I let myself down. . . . If you are broken, you don’t have to stay broken,” she said. Selena Gomez speaking at the American Music Awards on Nov. 20. Gomez checked into a rehab facility for help to deal with her illness earlier this year. This month, singer Adele opened up about her battle with postpartum depression in an interview with Vanity Fair. And Demi Lovato has gone public about bipolar disorder, becoming a spokesperson for the Be Vocal: Speak Up for Mental Health campaign, encouraging people to talk candidly about mental health issues. Could their openness destigmatize mental illness for the masses — and especially for their young fans? “People see these celebrities as role models, which is a complicated issue, but people being ‘out’ more in general is a really helpful thing,” says Harvard Square psychotherapist Melissa Kelly. And plenty of people are struggling. Major depressive disorder affects more than 15 million American adults in a given year, according to the Anxiety and Depression Association of America. Generalized anxiety disorder affects 6.8 million. Kelly says she’s noticed an increased willingness, especially on the part of younger people, to discuss mental health with their peers. “I get the sense that it’s much more commonplace to talk about: ‘Sure, I have a therapist, don’t you?’ It’s part of the culture in that age range to have stuff you’re working on. The word ‘self-care’ is being [used] a lot these days, and I think people are much more aware of everyone needing to take care of their mental health,” says Kelly, who frequently works with young adults. This falls in line with a Harris Poll conducted last year, partially on behalf of the ADAA, which noted that adults ages 18 to 25 have more “accepting views” of mental health care than other adults. Just the same, says Cambridge psychotherapist Jessica Slavin Connelly, it’s important to remember that barriers remain. Mental illness is often an unseen illness, visible only when it reaches a breaking point. Maybe, though, celebrities coming forward can touch more sufferers across demographics, since it’s so easy to feel like we really know these people. If stars can be honest, well, maybe we can, too, even if those celebrities do have more help and resources than the average person.